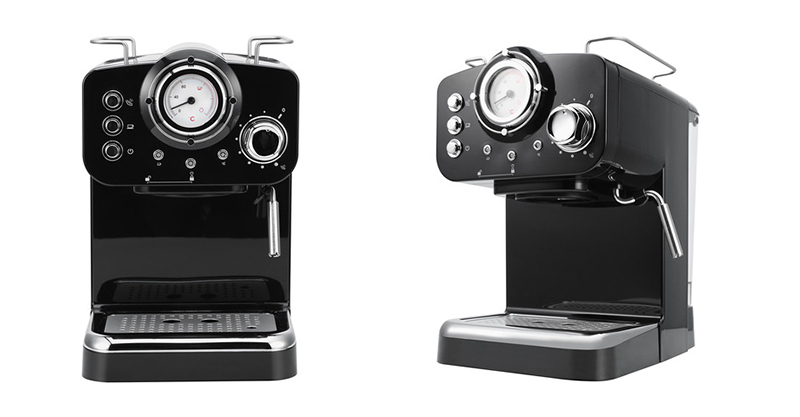 The latest feather in Kmart’s cap is an $89 espresso machine. The retro black unit was named by consumer advocacy group CHOICE as the little coffee machine that could. When up against a $900 competitor unit from Delonghi, Kmart’s Anko Espresso Coffee Machine beat the more expensive model on taste and consistency. CHOICE compared 34 different coffee machines on the market, based on design, ease of use, taste and price. Kmart’s machine came out on top in many of the categories – at a fraction of the price of other machines tested. “The overall score we gave the Kmart Anko Espresso Coffee Machine is not far off (and in some cases higher than) the scores we’ve given to machines that are significantly more expensive,” CHOICE says. But they also note that this machine might not be as hardwearing in the long-term as some others tested. According to CHOICE, the $89 Kmart coffee machine was a winner when it came to looking nice on the bench top, pumping out consistently hot coffees, delicious-tasting coffee and – of course – price. But on the downside it has quite a short milk steaming wand, is a little lightweight and does not come with a milk jug or tamper. “At that bargain price, it’s tough to overlook as a contender,” CHOICE’s Pru Engel concludes. If you’d like to read the full review you can pop over to the CHOICE website.